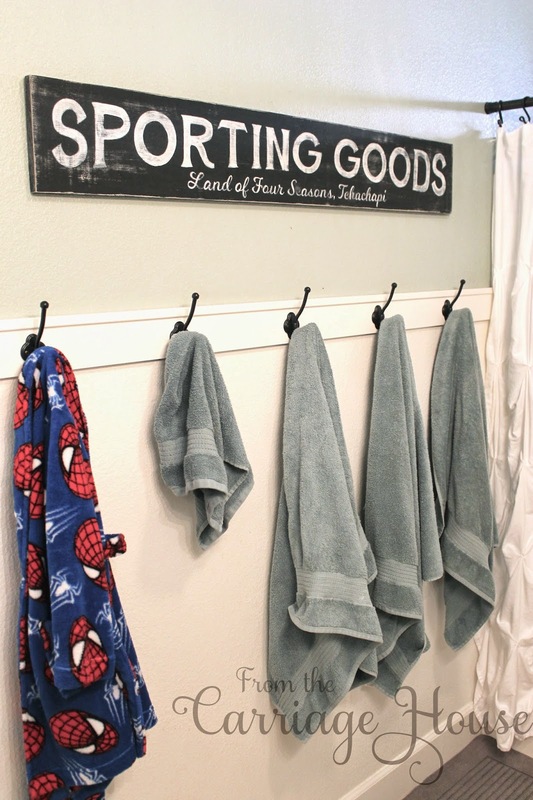 I love the direction we are going with the addition of the towel hooks and wainscoting, but I've been wanting to add some more personality to the boy's bathroom. 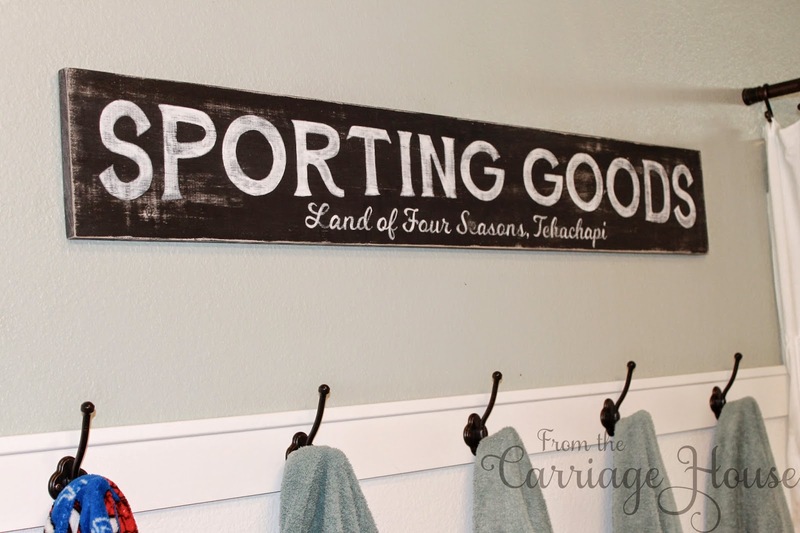 I thought a sporting goods theme would be a good choice for their space. 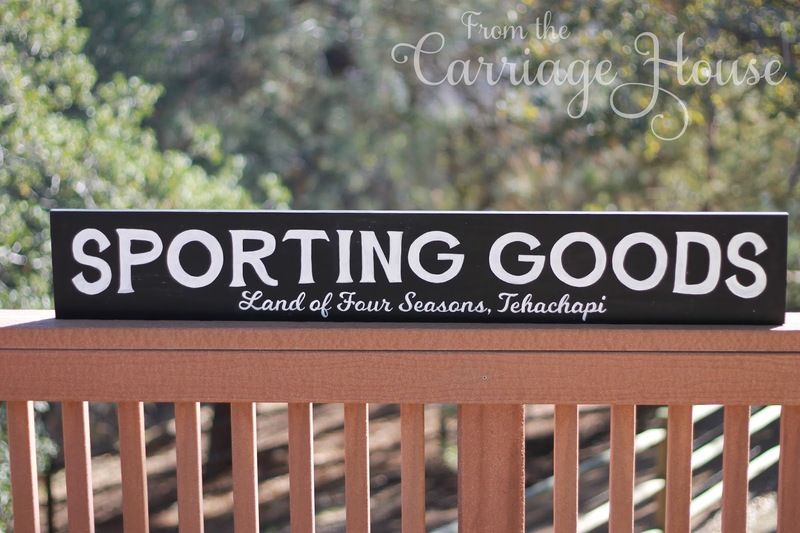 I'd like to find a few vintage posters or old sports equipment to hang, but for now, I made a vintage looking "Sporting Goods" sign. Here it is prior to the distressing. I think it looks great this way too, but it wanted it to look old and weathered for the bathroom.